Today is a good day as I'm finally getting my first full review of 2016 up! This beer first came to my attention in 2013, when the name was changed from Hop Notch to it's present Hop Nosh after a dispute with Notch Brewing. The label caught my eye then, and when I saw it in the shop the other day I had to have it! Uinta is a brewery from Utah, a state known more for followers of the Mormon faith than for beer. I have a feeling this could be my first beer from Utah. Whether that is the case or not, I'm definitely looking forward to finally getting to try this beer on a nice Saturday afternoon. Hop Nosh pours a fantastic looking deep golden colour that is semi-transparent. The head on top of the beer is slightly creamy and voluminous. 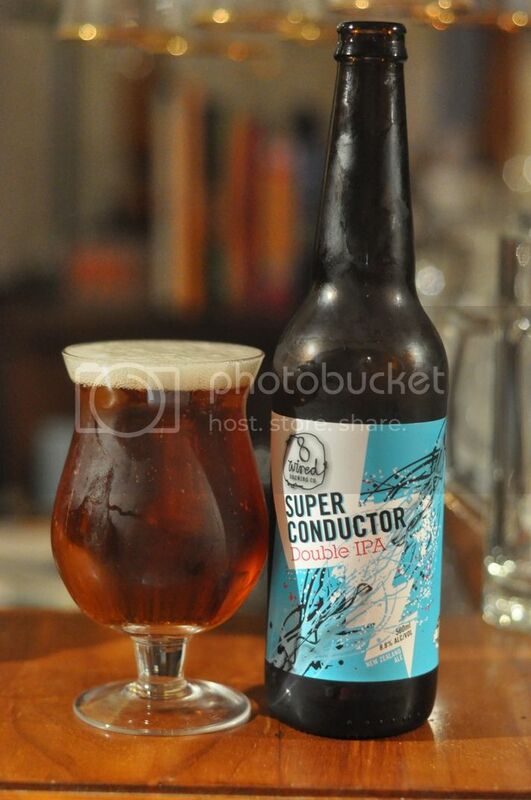 It has wonderful retention with a finger of foam sticking around throughout the duration of drinking, whilst even the Spiegelau glass - notoriously not a glass that collects lacing - has quite a bit of evidence left behind by this beer. It makes a great first impression! Onto the nose and citrus is the dominant aroma, with orange the main culprit with some assistance from grapefruit in the background. There's quite a light biscuity grain aroma as well as some sweetness, possibly a honey aroma. As the beer warms some pine resin also becomes evident on the nose and the beer smells distinctly more bitter, something I can't recall experiencing with temperature before... I'm seriously intrigued how this beer is going to taste. 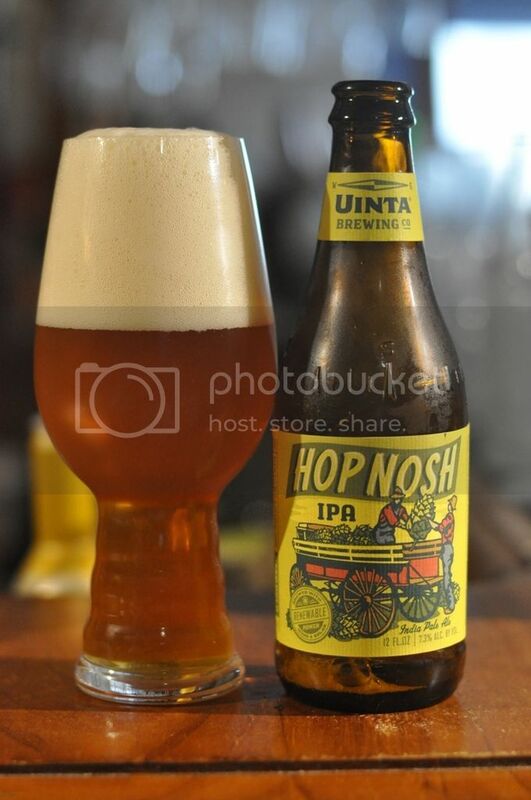 Thankfully, Uinta's Hop Nosh tastes excellent. Despite the relatively understated malt on the nose, and indeed when it comes to taste on the palette, it's a well balanced beer with just enough graininess cutting through the hop flavours. The flavour of the hops follows the nose, with orange and grapefruit up front before some pine comes through towards the end. It's got good, if not overpowering, bitterness. 7.3% ABV is well hidden. What is there left to say about this IPA? It's a really good example of the style. At 82 IBU's it's got more than enough bitterness to satisfy someone like me, while it won't be too extreme to people with a tacit understanding of the style. The hops have held up remarkably well for a beer that was shipped over a while ago, I will be going back to get more of these and I think you should pick some up if you see them.